Back to school is a time of excitement, joy and for me fear. My son Baxter has a peanut allergy. It is my job to be his advocate and help educate the people around him about the severity of food allergies. He will be attending pre-school for the first time this fall and obviously I'm a little on edge. 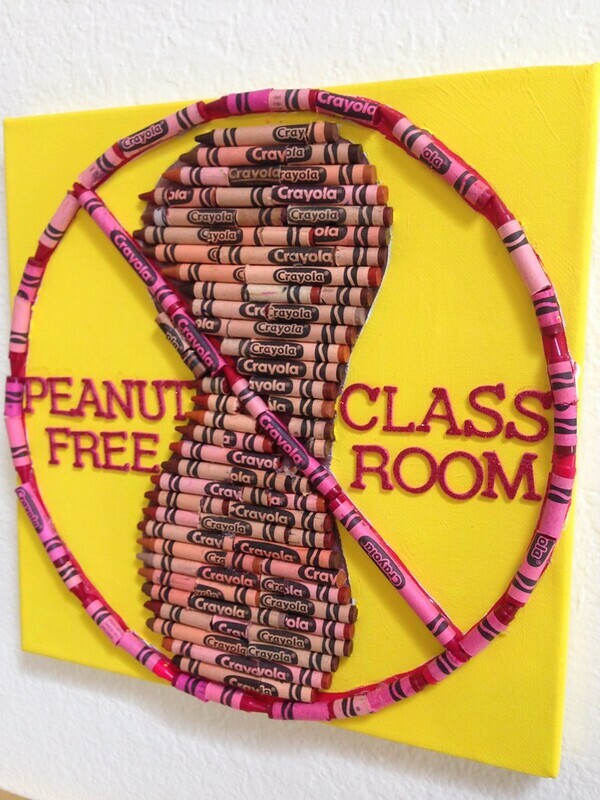 The school is peanut free, but most are not. 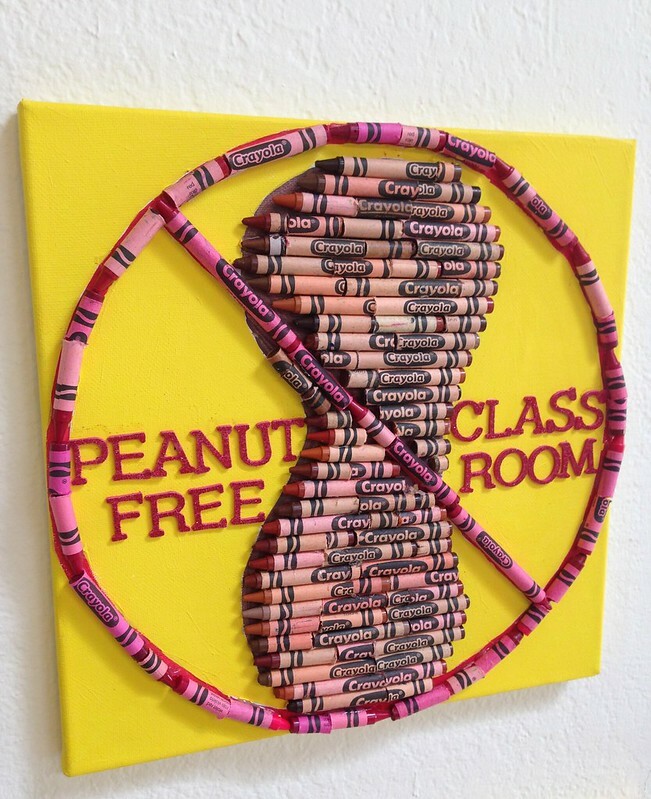 Many schools have adopted the policy of having peanut free classrooms which is great. 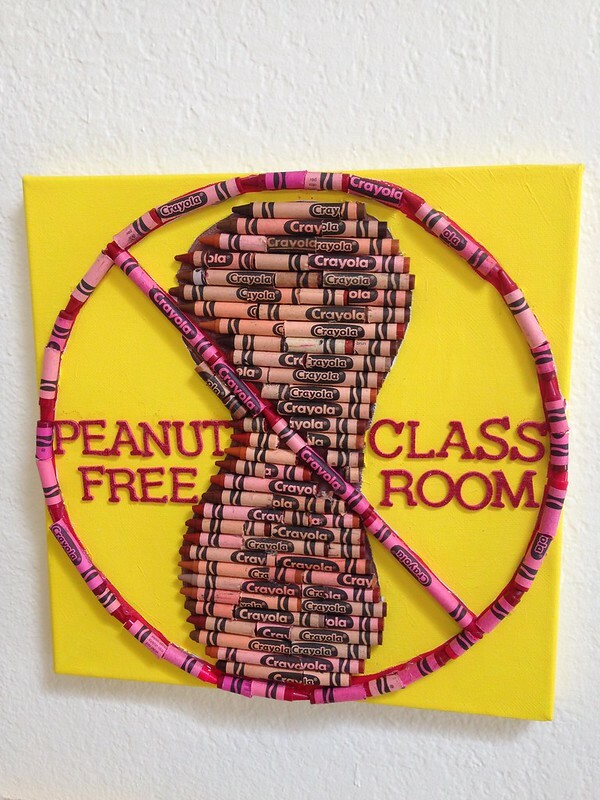 Finding a clever school related way to say "peanut free" is not always easy. One day while coloring pictures with my son I had an idea about how to get a very serious point across in a not so serious looking way. The first thing I did was draw a peanut with a NO symbol through it. 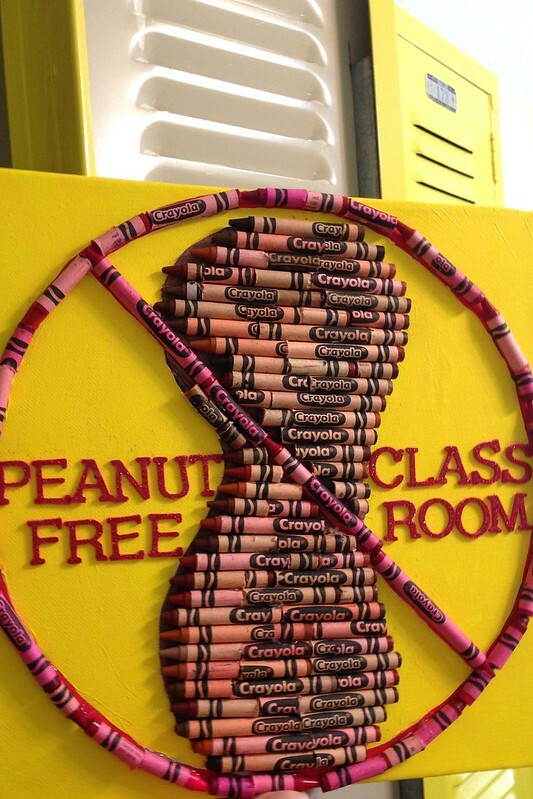 I painted the peanut brown and the symbol red. 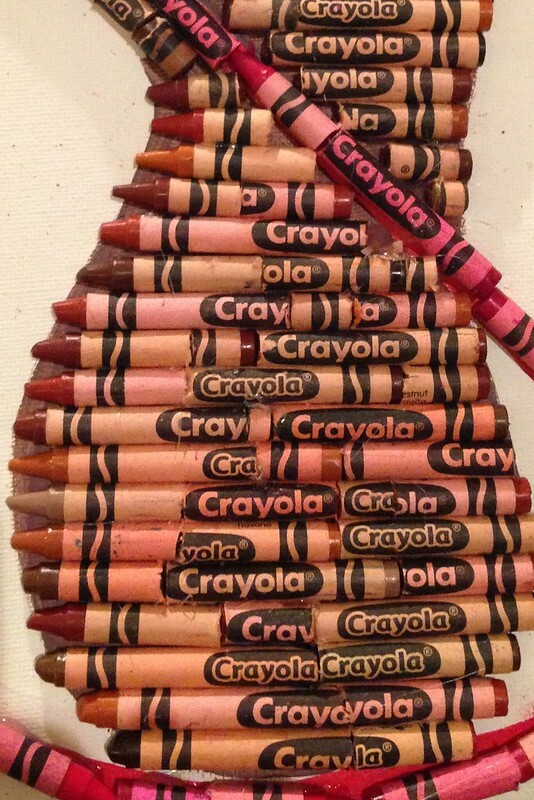 Using your craft knife cut your crayons into random sizes. 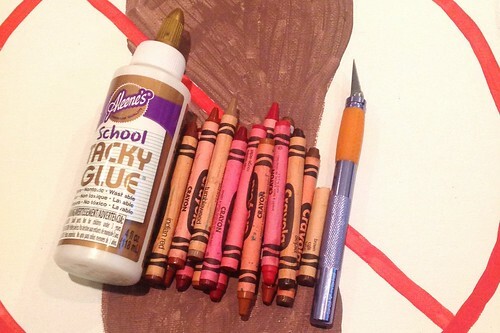 One at a time using Aleene's School Tacky Glue attach the crayons to the canvas. 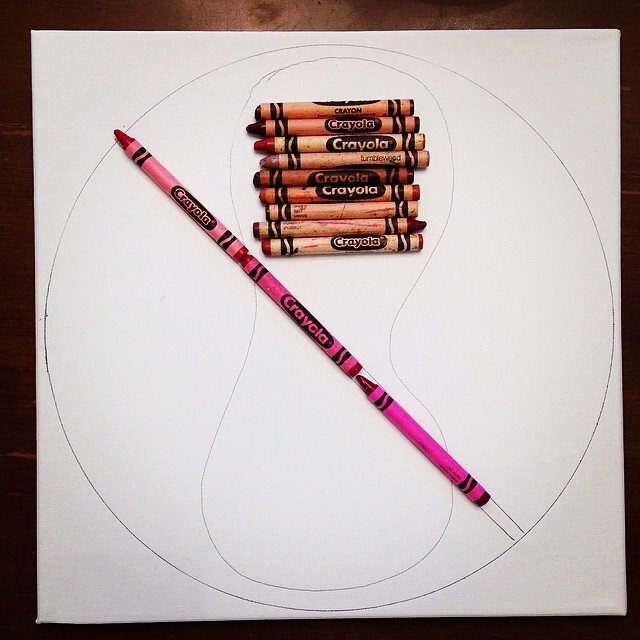 You will have to trim and snap to make your crayons fit. Remember that thrift stores often have bags of barely touched crayons just begging to be made over into a craft project. If I had it to do over I would have painted the background yellow BEFORE I glued my crayons onto the canvas. Alas, crafty hindsight is always 20/20. 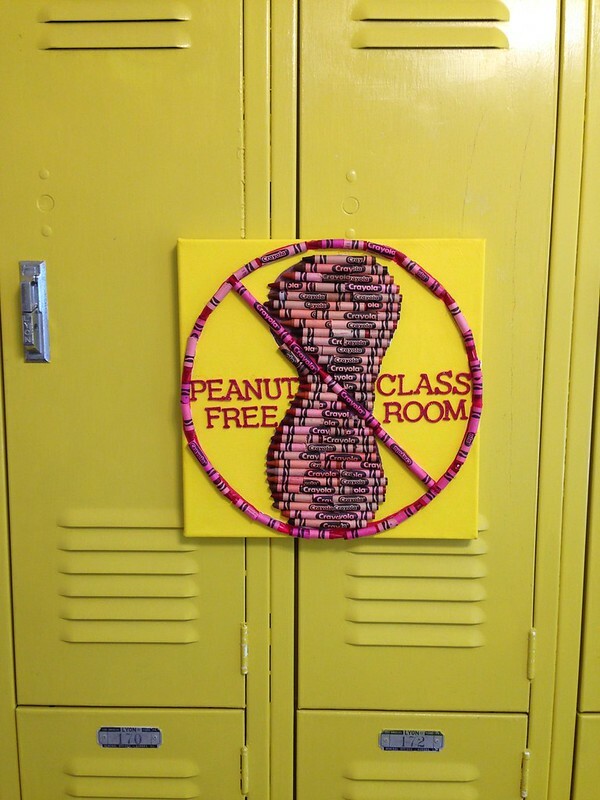 The last thing I did was add the text "Peanut Free Classroom". I used bright red Thickers, but you could also write it in paint or marker. The sign is perfect. My message is clear and the crayons give the whole thing a fun back-to-school feel. Do you have children with food allergies? How are you helping them prepare for school? If you don't, how has your child's class been effected? Check out more fun from Jennifer Perkins on her blog. Head over to our TIE DYE YOUR SUMMER site for even more inspiration, how-to's, and fun videos to get you mega-inspired for some DIY summer fun! Head over to our TIE DYE YOUR SUMMER site for even more inspiration, how-to's, and fun videos to get you mega-inspired for some DIY summer fun! Good article. I was really enjoyed reading your post. This is truly worthy to read. Good content and good information. God bless!